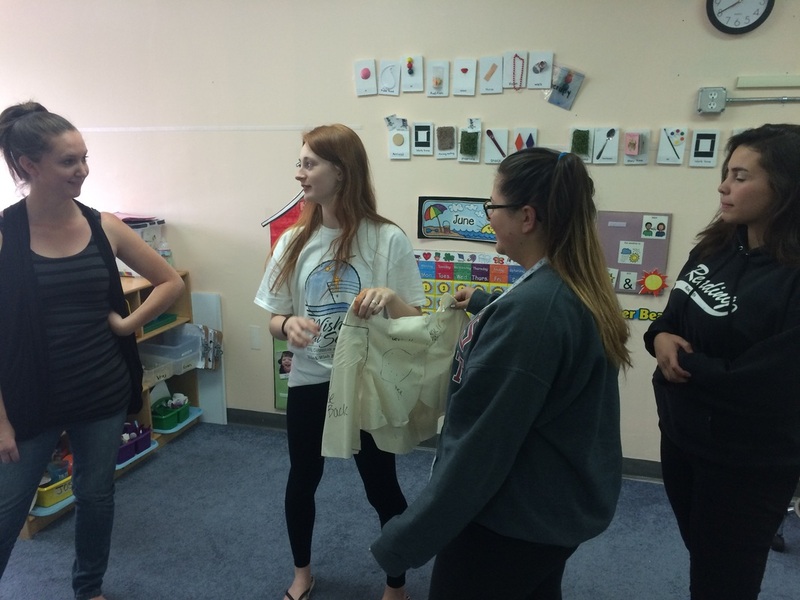 Last year Ms. Kennedy came up to me and suggested that we design clothing for students in the pre-school who have physical disabilities and/or global developmental delays. She noticed that the pre-school teachers had trouble putting coats on and off the students for recess. I thought, "what a great idea!" 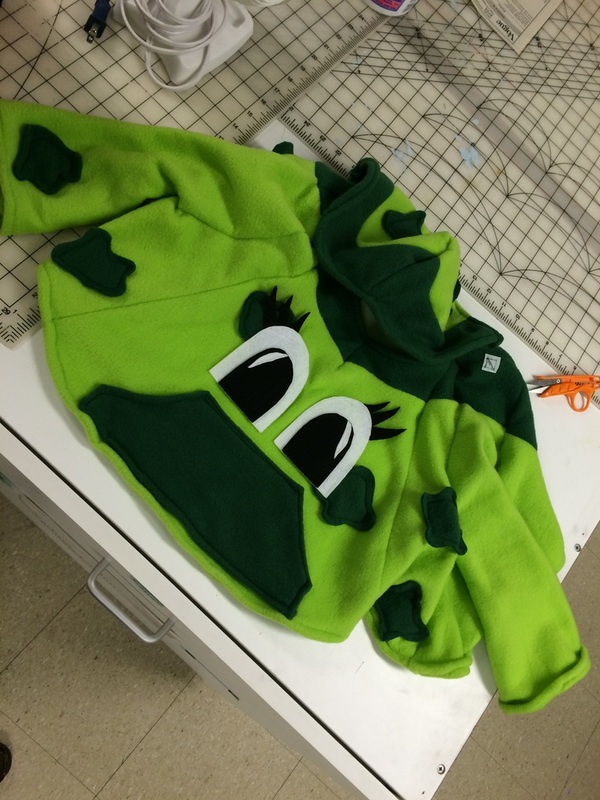 The fashion class raised money selling tickets for a chain department store and my students mentioned that they wanted to use that money and create something for others. With limited experience creating children’s clothing, never mind adaptive clothing, I looked online for sources. 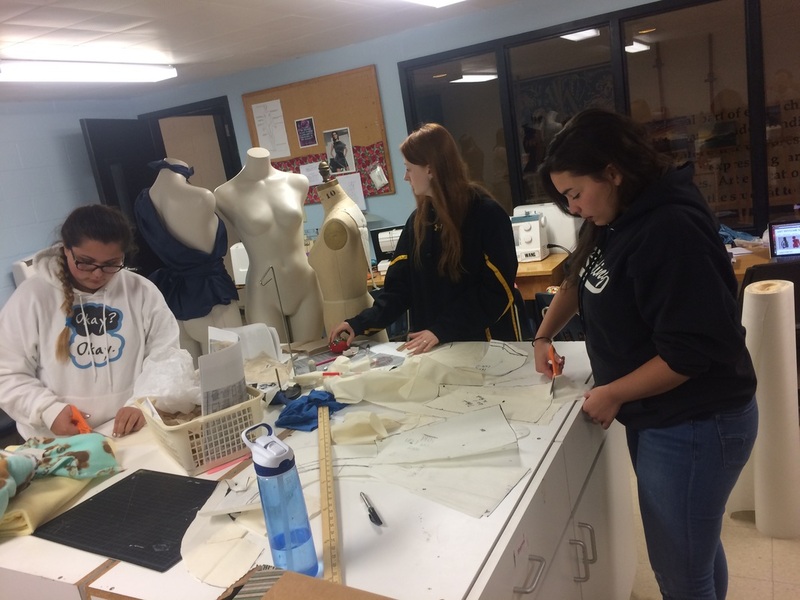 The article, Design and disability: fashion for wheelchair users by fashion designer Rebecca Paterson really helped myself and my students to understand what it’s like to design adaptive clothing for people with disabilities. Rebecca was inspired by her sister, who has Cerebral Palsy, and created a line of adaptive clothing for her. 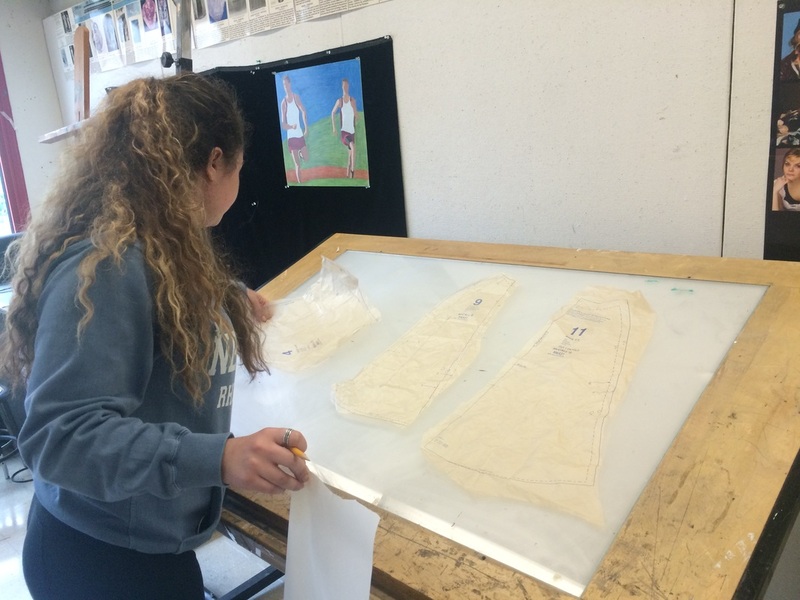 She included flat garment drawings of her adaptive designs, allowing students to understand the needs of someone in a wheelchair. We met with the pre-school teacher, Ms. Shannon Conroy, and inundated her with questions. What type of clothing do these kids need? What fabrics do you think would be best? How about the best type of clasps? We realized that the best course of action would be to design fall and spring coats that Ms. Conroy could use in her own classroom for recess. I took my class of 8 students down to visit Ms. Conroy’s classroom. Working in groups of 2-3, students researched adaptive clothing designs and collaborated to create 2 different designs per group. We brainstormed as a class to refine the designs and then we made our pattern pieces, using current sewing patterns and altering them to suit our own needs. 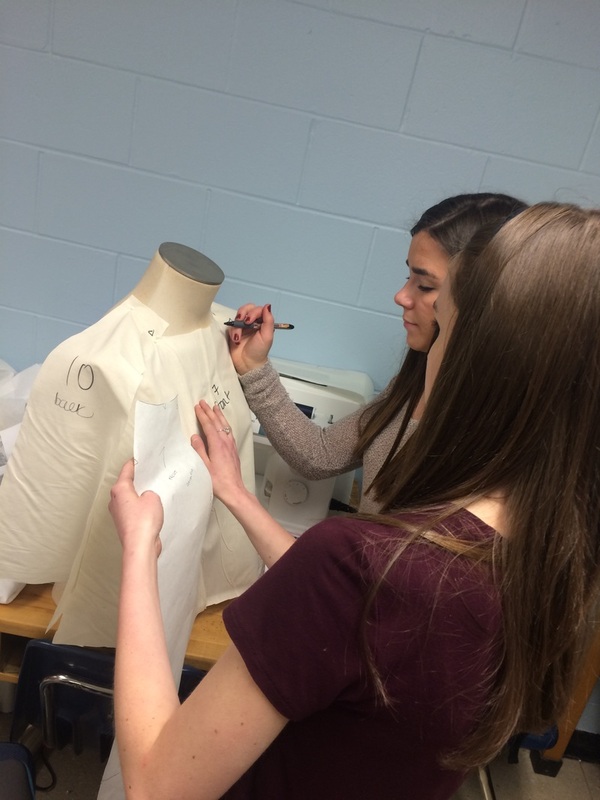 One final design was chosen per group and students worked together to complete the garments. 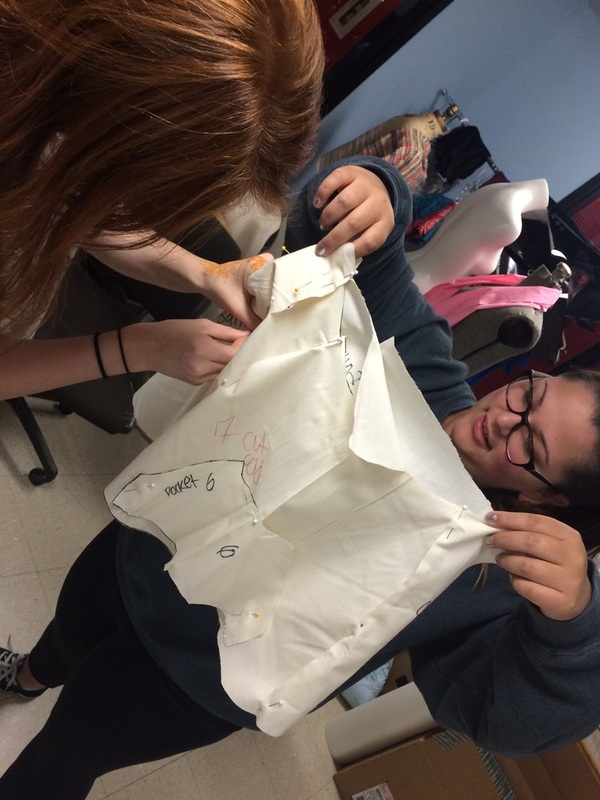 I can not be more proud of my fashion students! 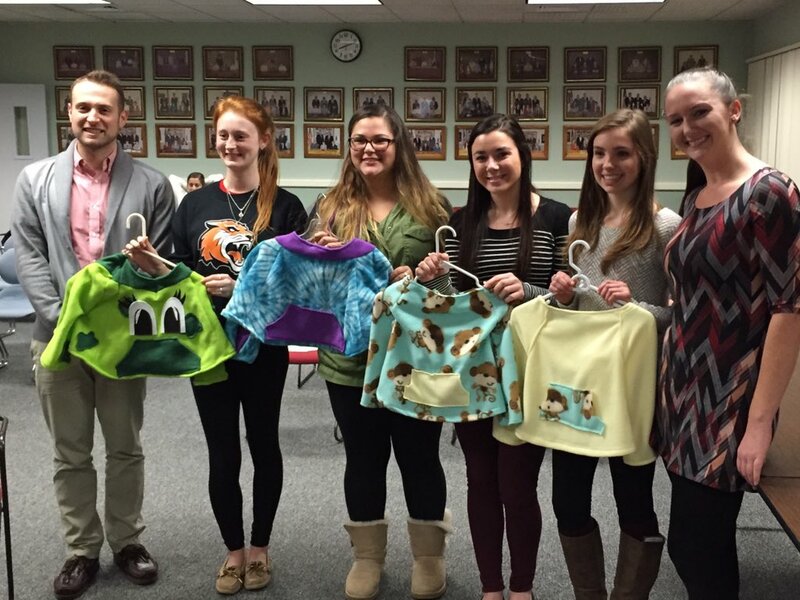 Their big hearts coupled with positive attitudes and ambitions helped this project succeed. I am very lucky to be able to work with these students on a daily basis. 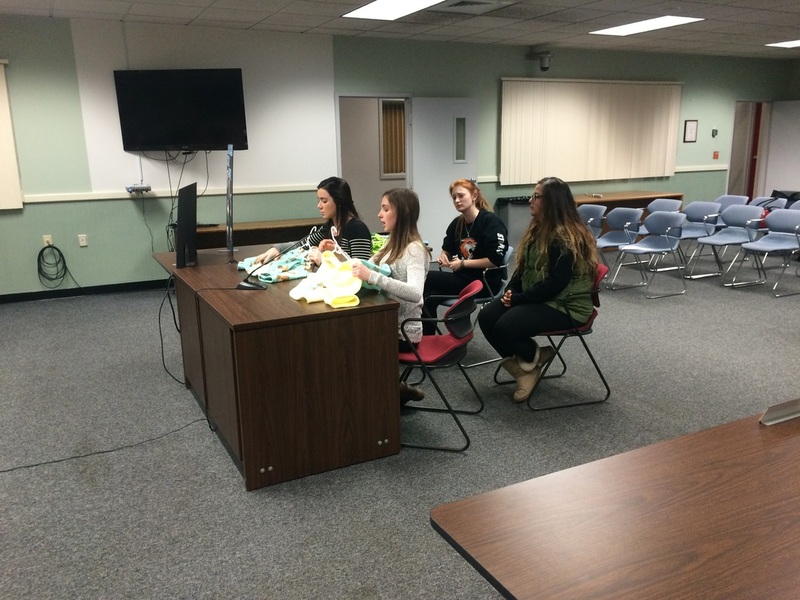 Thank you to Shannon Conroy and Deborah Clark from the BECC! And thank you to the administration here at Burlington who continually support the students and staff here.